As a small business owner, there’s a good chance that you’re not totally familiar with what makes good web design. But you still need to make the important decision about whether you need to redesign your site or not. Your website is your most important piece of online marketing arsenal, and it needs to be at its best. Usually some sort of graphic or video. You must “Click to enter” before you can visit the website. First off, Google and search engines don’t care for this. To them it signals that your site has no content on the homepage. And that’s not a good thing. Also, it really does nothing for your visitors. It just forces them to make an extra click to get into your site. Unnecessary. The information is not pleasantly, or even uniformly laid out. Your graphics are distracting from content. With a fresh web design it’s quite the opposite – graphics serve to draw attention to the content. There is a lack of easily identifiable calls 2 action. As a site visitor, you’re not sure what you should do. Or what the company wants you to do. Feel free to ask friends and family if you’re not sure. Here are some visual examples of out of date sites and how they look after a website redesign. Main information on an outdated site often has a left orientation. Modern web design uses a centered approach. Old websites tend to be barren on the one hand with very little information. On the other, they jam so much information into the site that you don’t know what to do. It’s hard to find the information you came looking for. Simple and clean site structure, with the emphasis on content, is the name of the game here. If it has been more than 5 years since your site was built, there’s a pretty good chance it needs an update. Technologies change, as do design abilities. TRUST A well-cared for, pleasant website experience makes you more trustworthy in your visitors eyes. You only give money to people you trust. EXPERIENCE Old websites have a tendency to serve site visitors poorly. Current website design and usability standards offer the best possible experience for your customers. They will appreciate that. ANNOYANCE Unappealing design, too many calls 2 action, no calls 2 action, lack of upfront information. All of these things lead to visitor frustration. Frustrated visitors leave. WASTE A well designed, effective website makes the most of this most potent of marketing channels. If your visitors can easily find what they need; the content makes them want to come back for more; they have a positive impression of your small business after their visit; they connect with you on some way or another (Twitter, Facebook, email, comment) – bingo! Your website has done its job. 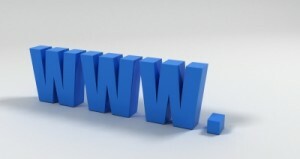 Your small business website is your home, your online foundation. Make it good. Make it work for you. And your little biz will reap the rewards. If you’re still not sure, feel free to leave a comment with a link to your website, and I’ll be happy to give you my opinion. Hah, this made me laugh. I think you could add a #6: No Blog. Small businesses especially need to invest in adding a blog that is relevent, hyperlocal, and updated frequently to win trust, build relationships, and SEO the crap out of their site. Great point! Blogs are super important now, and as you point out, can do so much for your business. Out of date websites either lack refreshing, updating content or might have a rather stale “news” page (perhaps not updated in a few years ;)). Customers and visitors are looking for a window into your business that is more personal, more engaging and offers valuable information. That’s how you keep them coming back for more. Excellent examples on your facebook page, thank you – I guess mine needs work! My intention for my site was for it serve as a “virtual address book” so that contacts can choose which shop to visit, but I think now that I’m expecting too much commitment, too many clicks? I had a look at your website and at first glance, it’s a little overwhelming. I’m not really sure what I should do first, or where I should go. A little organization and some graphics would help streamline the experience, making the content easier to digest. Rather than just a column of text and links, you could create a more horizontal layout and different sections to house your information. This would also give you the opportunity to add more content on the homepage and give more weight to your calls 2 action. I would also recommend having more content on your site, instead of just one page. Definitely an “About” page, so that people can learn a little more about you and your cute little creations. A “Shop” page would also be very effective, where you could give some more information about your products, and then you could link out to your online stores. You certainly don’t need to make your site very complicated, but navigation, more content/additional pages and some eye grabbing graphics will help your site visitors have a better experience and a better understanding of your business. Martina, I have been hard at work all weekend giving my site a facelift – I hope you’llagree it’s improved! I really appreciate the virtual “kick in the appropriate place” and have linked to you at the top of my “seller resources” page. Heather aka Niftyknits recently posted..Weve been Gokked! Wow Heather! The facelift is a terrific improvement! All of the information I need is right at my fingertips, and it’s much easier to digest with the new layout. I also love how you’ve injected personality and fun into your site – really engaging and makes me want to keep on reading. Way to go!!! Thanks Martina, I appreciate your time. Great question! The websites you shared are excellent examples of current web design. They work in video (which really is becoming a must in internet marketing), but still have all the other important information you need on a homepage, like navigation and calls 2 action. The outdated sites I was referring to have a welcome page that essentially has no information. You cannot get further into the website without entering it first by clicking a button. Only after you click can you access the contents of the website. Hopefully this helps! If you need further clarification, don’t hesitate to respond back. I appreciate you sharing these examples. I’m sure your question will help other readers 🙂 Cheers! Hi Martina. I want to start a website for my handmade Jewelry that has done very well at a local gallery. I was thinking of trying Volusion for starting a new website and are somewhat confused about connecting a new blog to the website. I need some help! Hi Colleen. I’m not familiar with that website solution, so I’m not sure how easy it is to connect it to a blog. Perhaps you could try contacting their support team? Let me know if you think you’ll need the help of a web developer – I’ve got a great team I can recommend. Cheers! I was wondering if you would be able to take a look at our website. We have 5 different properties, so there is a lot of information for guests to look through. Any insite would be much appreciated! Thanks for reaching out. I would say that the first priority should be to freshen up the design to bring it up to date with current web design standards. This should also help with being able to digest the information, as it is a little overwhelming right now. If you’re looking for some more ideas, you could check out the free website improvement guide I offer for signing up for newsletters: http://martinairing.com/blog/about-small-business-bliss/email-sign-up/ Hope this helps! I also noticed Tatum that there isn’t (or I couldn’t find) information about you and who runs the business. This would be a great piece to add, to help create a more personal connection. Previous post: Repeat after me – I heart my customers!